Draft: 2010, Toronto Blue Jays, 4th rd. Graduated from Jesuit High School in Tampa, FL in 2006. Pitched all four years on the school's baseball team and finished with a 10-1 record in his senior year. Attended the University of South Carolina (Columbia) and posted a 23-9 career record in 46 games (42 starts). Went 6-5 in 18 starts for the Gamecocks' 2010 College World Series championship squad that included Boston's Jackie Bradley Jr....His former teammates with the Texas Rangers dubbed him the "Angry Leprechaun" because he'd arrive at the ballpark wearing the full Fightin' Irish mascot costume every St. Patrick's Day...Did not pitch professionally in 2010 after undergoing labrum repair surgery, and he missed the entire 2011 campaign recovering from Tommy John surgery on his right elbow...His cat, Snuckles, has his own Instagram account (@ snuckles47) and it is full of candid shots. Snuckles wearing a tuxedo shirt, a pirate costume, and wearing bowtie after bowtie. Posted a 2.69 ERA and a .228 opponents average...Led the team with 74 appearances, which ranked as the seventh-most in the NL...Was one of four relievers since 2015 to have at least three seasons of 70 or more appearances (also Tony Watson, 2015-18, Bryan Shaw, 2015-2017, and Zach Duke, 2015-16, 2018)...Converted just three of his eight save chances and had just one save opportunity after June 28...Induced 13 double plays, tied for the fourth-most among NL relievers...His groundball percentage of 61.3% ranked as the sixthbest figure among NL relievers. Took over the closer role for the Giants on July 1 with Mark Melancon heading to the disabled list, and went 14-for-17 in save chances...Was acquired by the Giants from the Rangers on June 6 for a PTBNL (OF Hunter Cole) and was added to the 25-man roster on June 9...Posted a 3-4 record with a 4.03 ERA (17er, 38.0ip) in 38 games for San Francisco...Allowed 36 hits in 147 at-bats (.245) with San Francisco after allowing a .392 (31-for-79) opponents average with Texas...Led the Giants with 14 saves...His 10 losses overall ranked as the most in the Majors among relievers...Allowed a career-high eight home runs overall (six with the Rangers and two with the Giants)...His 4.94 walks per 9.0 innings was the highest average of his career...Went 1-6 with a 10.80 ERA (20er, 16.2ip) and four blown saves in 17 appearances with Texas... was designated for assignment on June 2. Ranked among the A.L. leaders in appearances (2nd, 73), saves (3rd, 38), and games finished (T5th, 53), topping staff in all 3 categories…posted the 14th lowest relief ERA in the A.L. at 2.43 (min. 50.0 IP), 2nd best among all Texas pitchers with at least 20.0 IP…had a SO/BB ratio of 2.39, nearly one full strikeout lower than 2015 (3.38)…led all A.L. relievers in GDPs induced (12)…was 3-0, 1.00 ERA (4 ER/36.0 IP) with .444 opponent OPS in 37 appearances at home, majors' lowest home ERA and 3rd lowest in club history (min. 35.0 home IP)…went 0-2, 3.93 (15 ER/34.1 IP) with an .845 opp. OPS in 36 away outings… all 5 HR allowed came on road…opponents batted .244, .221 vs. RHB and .274 vs. LHB….lone outing in ALDS vs. TOR was scoreless inning in Game 2. Combined to go 5-2 with one save and 2.27 ERA (67.1 IP/17 ER) in 44 games between Triple-A New Orleans and Miami. Allowed just one home run to total of 284 batters faced...Opened season with Zephyrs, appearing in eight games with a 0-1 record and one save with a 2.76 ERA (16.1/5) prior to being placed on seven-day disabled list with a facial fracture on April 30...Reinstated from disabled list on June 6...Nine of 13 appearances with NOLA spanned 2.0 or more innings, with season-high 3.0 on April 15 at Iowa. Earned save in Zephyrs 8-4 win, allowing just one hit...Recalled by Miami on June 15 and earned first Major League win in first appearance, June 17 vs. Cubs. Allowed two hits in 1.1 innings with one walk (one intentional) and one strikeout...Also earned wins on August 19 vs. Texas and September 15 at Mets...Logged career-high 3.1 innings on July 19 vs. San Francisco. Equaled high on August 26 at Angels...Surrendered season-high three runs in July 19 contest against Giants. Allowed multiple earned runs just two times in 31 appearances with Miami...Over last 11 games, went 1-0 with 1.54 ERA (11.2/2)...His 2.14 ERA ranked third among National League rookie relief pitchers (min. 40.0 IP), behind Ken Giles (1.18) and Neil Ramirez (1.44)...Ranked tied for second among rookie NL relievers in wins (3), behind Evan Marshall (4). Combined to go 4-11 with a 2.67 ERA (111.1 IP/33 ER) in 22 appearances (21 starts) between Double-A Jacksonville and Triple-A New Orleans, which included one rehab start with GCL Marlins. Began season with Jacksonville, posting 3-7 record and 2.63 ERA (75.1/22) in 16 games (15 starts) before landing on disabled list with lower back spondylolysis on July 7. Made one rehab start with Gulf Coast Marlins and was returned from rehab and promoted to New Orleans on August 5, making first Triple-A start that night against Reno. At Minor League levels, allowed more than three earned runs just three times: May 1 at Jackson (4), May 24 vs. Birmingham (4) and August 25 at Omaha (5). Recalled by Miami on August 29 and made season debut that night in Washington. Made first Major League start September 16 at Philadelphia, allowing seven runs on six hits (one home run) with four walks and one strikeout over 2.2 innings. Began season with Single-A Dunedin and posted 2-0 mark with 4.08 ERA (28.2 IP/13ER) in six starts. Earned first win in professional debut, April 9 at Daytona. Wentcareer-long 6.0 innings and recorded a career-high four strikeouts. Tied career high in strikeouts in next start, April 14 at Brevard County. Promoted to Double-A New Hampshire on May 11. Made 33 relief appearances forFisher Cats, going 2-2, 2.38 (45.1/12) and converting nine saves in 10 opportunities. Earned Eastern League All-Star honors with 0.75 ERA in 15 games with three saves inthree chances in first half. Converted final six save opportunities without allowing a run and holding opponentsto three hits in 6.1 innings. Selected to Major League roster by Toronto on July 5 and made ML debut thatsame night vs. Kansas City, going 0.1 inning with one strikeout and a walk. Madeone more appearance for the Blue Jays, allowing three runs on four hits and a walkin 0.1 inning on July 17 at New York-AL. Played with Salt River Rafters in Arizona Fall League following season, posting a 0-0record and 7.04 ERA (7.2/6), earning spot in AFL Rising Stars Game. June 6, 2017 Texas Rangers traded RHP Sam Dyson and cash to San Francisco Giants for Player To Be Named Later. June 2, 2017 Texas Rangers designated RHP Sam Dyson for assignment. April 28, 2017 Texas Rangers activated RHP Sam Dyson from the 10-day disabled list. April 24, 2017 Texas Rangers sent RHP Sam Dyson on a rehab assignment to Round Rock Express. April 17, 2017 Texas Rangers placed RHP Sam Dyson on the 10-day disabled list. Right hand contusion. August 1, 2015 Texas Rangers activated RHP Sam Dyson. July 31, 2015 Miami Marlins traded RHP Sam Dyson to Texas Rangers for C Tomas Telis and LHP Cody Ege. April 3, 2015 RHP Sam Dyson assigned to Greensboro Grasshoppers. April 3, 2015 Miami Marlins activated RHP Sam Dyson. June 28, 2014 Miami Marlins recalled RHP Sam Dyson from New Orleans Zephyrs. June 18, 2014 Miami Marlins optioned RHP Sam Dyson to New Orleans Zephyrs. June 15, 2014 Miami Marlins recalled Sam Dyson from New Orleans Zephyrs. June 14, 2014 New Orleans Zephyrs activated RHP Sam Dyson from the 7-day disabled list. May 1, 2014 New Orleans Zephyrs placed RHP Sam Dyson on the 7-day disabled list. March 17, 2014 Miami Marlins optioned RHP Sam Dyson to New Orleans Zephyrs. August 29, 2013 Miami Marlins recalled Sam Dyson from New Orleans Zephyrs. 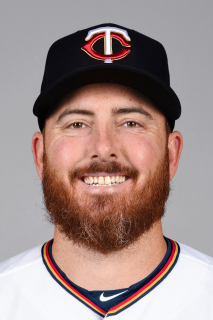 August 5, 2013 Sam Dyson assigned to New Orleans Zephyrs from Jacksonville Suns. July 30, 2013 Jacksonville Suns sent RHP Sam Dyson on a rehab assignment to GCL Marlins. July 7, 2013 Sam Dyson roster status changed by Jacksonville Suns. March 11, 2013 Miami Marlins optioned RHP Sam Dyson to Jacksonville Suns. January 30, 2013 Miami Marlins claimed Sam Dyson off waivers from Toronto Blue Jays. January 22, 2013 Toronto Blue Jays designated Sam Dyson for assignment. October 4, 2012 Toronto Blue Jays recalled RHP Sam Dyson from New Hampshire Fisher Cats. September 6, 2012 RHP Sam Dyson assigned to Salt River Rafters. July 19, 2012 Toronto Blue Jays optioned Sam Dyson to New Hampshire Fisher Cats. July 5, 2012 Toronto Blue Jays selected the contract of Sam Dyson from New Hampshire Fisher Cats. May 11, 2012 Sam Dyson assigned to New Hampshire Fisher Cats from Dunedin Blue Jays. April 4, 2012 Sam Dyson assigned to Dunedin Blue Jays. August 16, 2010 Toronto Blue Jays signed RHP Sam Dyson.